OSHA’s enforcement of the new Respirable Crystalline Silica Exposure standard began on Saturday, September 23rd, 2017.The Final Rule aspires to curb the potentially lethal diseases associated with exposure to silica dust in both Construction and General Industries. “Specific measures the employer has implemented to protect employees from exposure to respirable crystalline silica, including engineering controls, work practices, and respirators to be used” SSU provides half face/full face respirators used to protect workers from inhaling silica dust. Check out the respirators we carry here. OSHA’s guidelines reflect that “the employer is in the best position to determine how the training can be most effectively accomplished.” That said, the final rule includes language suggesting that “Hands-on training, videotapes, slide presentations, classroom instruction… written manuals or any combination of these methods may be appropriate.” Further, OSHA’s rule requires that employees are able to understand the training and have an opportunity to pose questions be it during the training or at a later time. OSHA’s requirements for compliance may create an undue burden on your Competent Person as they may not have the resources available or may not be able to effectively communicate with all staff due to language restrictions. These requirements may be met by having a reputable, qualified provider such as TSC Training Academy administer your employee training and field any questions that arise during and after the seminar. Does OSHA indicate how long the training should be? Yes, in the final rule OSHA states “that a full hour of training, on average, will be required for all covered workers” in our vast experience we’ve learned that an hour of training is usually not enough. Our Silica Hazard Awareness Seminars run for 2 hours providing ample time for practical instruction and questions from our clients answered by a seasoned industry professional. How does the new Rule impact existing requirements or training on silica dust? All previous regulations pertaining to silica, even those not expressly stated in the new rule, are still in effect. OSHA doesn’t deem it necessary to repeat training on existing but does call for an understanding of the expanded rules for environments with large amounts of respirable crystalline silica. 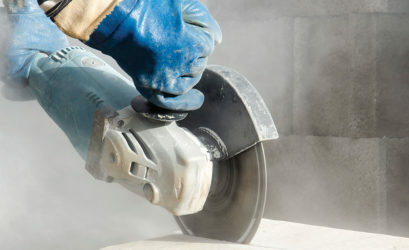 All employees whose workplaces are covered by the silica rule require the training. Do I need to keep a record of which employees have been trained? Technically, no, OSHA doesn’t require employers to keep training records, although it is recommended. All attendees of TSCTA’s Silica Hazard Awareness Seminar will receive a certificate of completion and record of their participation is easily accessible upon your request. What is the role of the competent person in the construction industry? Under the new rule, the competent person is an individual capable of identifying existing and foreseeable respirable crystalline silica hazards in the workplace who has the authorization to take prompt corrective measures to eliminate or minimize them. For the full requirements required for this competent person, as taken from the rule, click here. OSHA expects that competent persons are very well versed with the requirements of the standard and have the ability to explain the rule to others. Protect your employees with the right safety equipment and PPE that is silica dust compliant. SSU is a trusted industry supplier and carries all equipment and accessories that are compliant with OSHA’s new rule. SSU carries all types of vacuum systems and filters needed to safely collect and contain dust. SSU has access to safety experts and knowledgeable reps that can assist you with questions regarding the right equipment for your site. Check out upcoming courses or contact us to schedule your on-site training today. TSCTA offers a 2-hour Silica Hazard Awareness Seminar in either English or Spanish. Participation in our training will outfit your employees with a more thorough and up-to-date understanding of the magnitude of silica in the construction environment, basic hazards, evaluation and control techniques and OSHA’s new requirements surrounding the new Respirable Crystalline Silica in construction regulation. Working together, we can protect America’s construction workers from this all-too-common hazard.